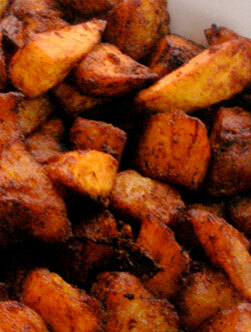 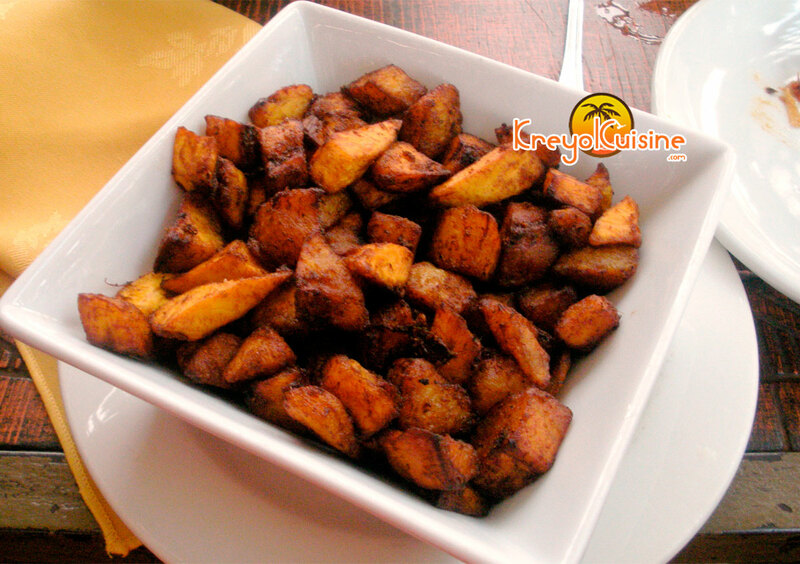 Kelewele is a popular Ghanaian snack dish of fried plantains seasoned with spices. 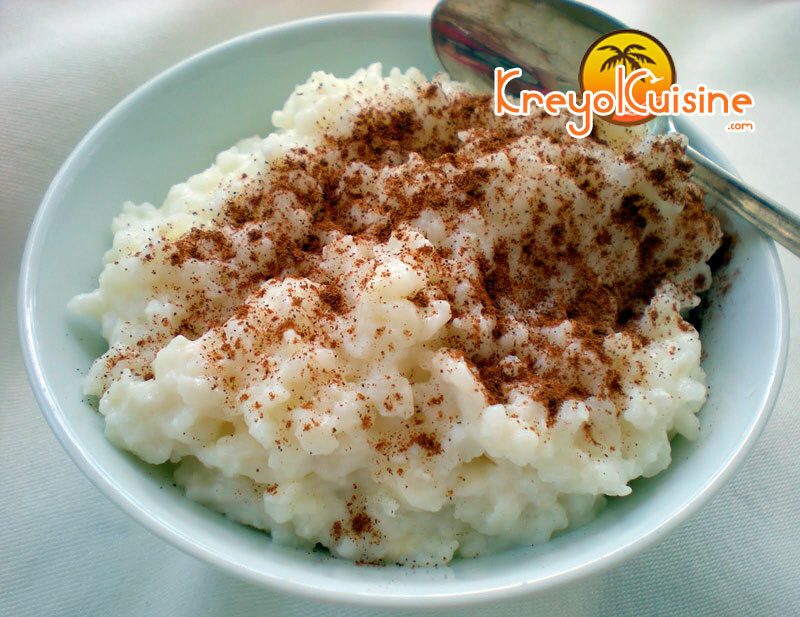 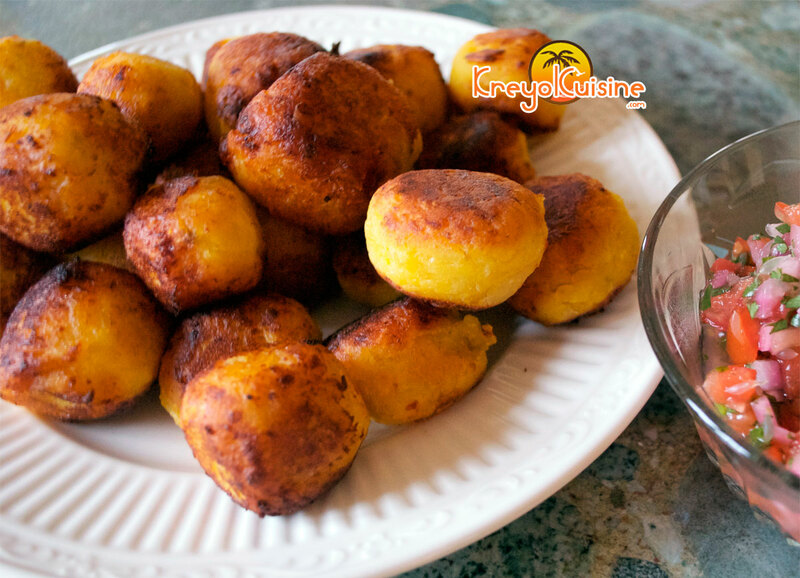 It is sometimes served with rice and stew, peanuts, or alone as a dessert or a snack. 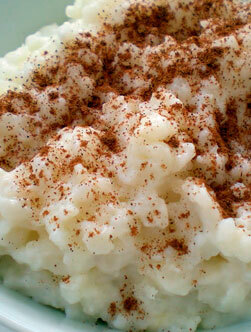 It is also popular for breakfast. 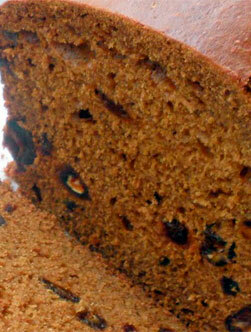 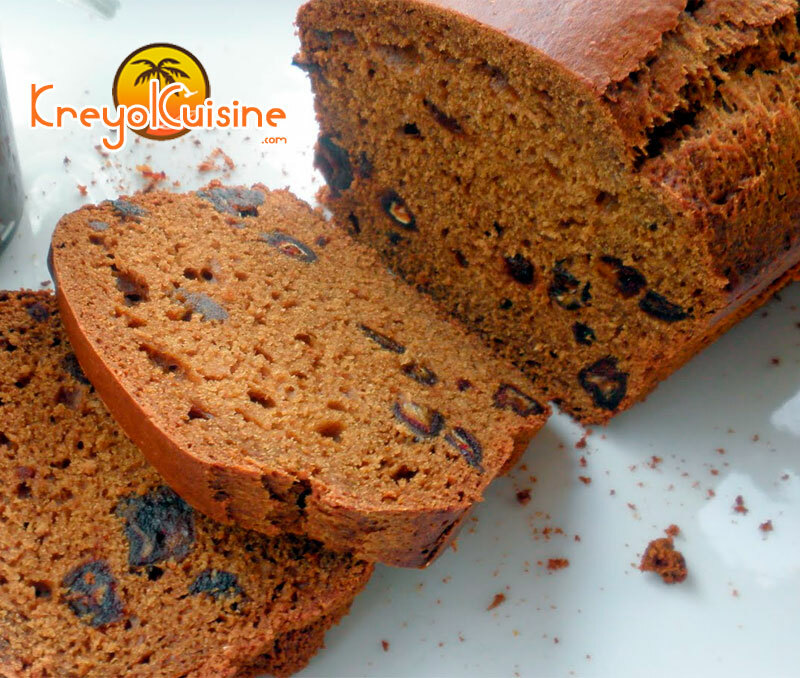 This bread is prepared just like a cake, but is very delicious for breakfast. 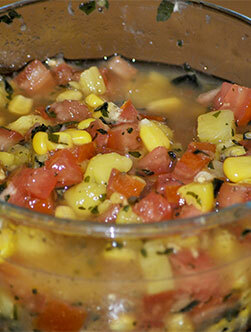 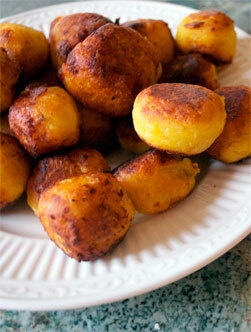 This dish from South America is simple and easy to prepare. 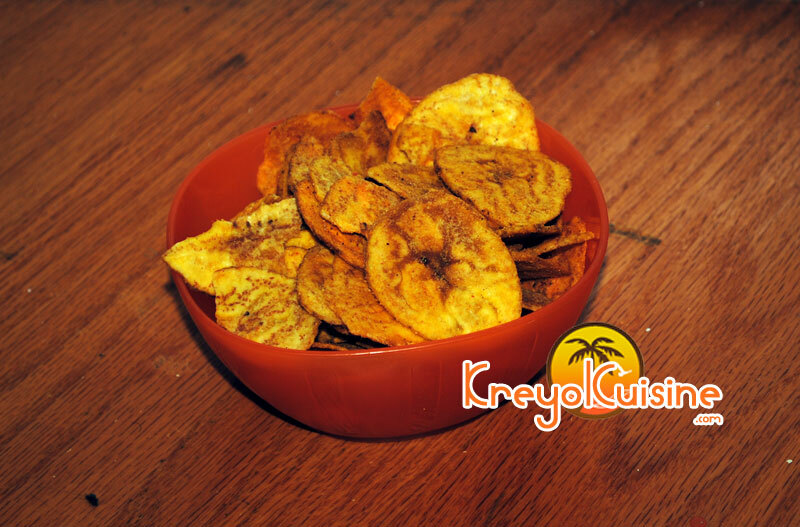 The sweetness of the ripe plantains works perfectly with the meat and spices. 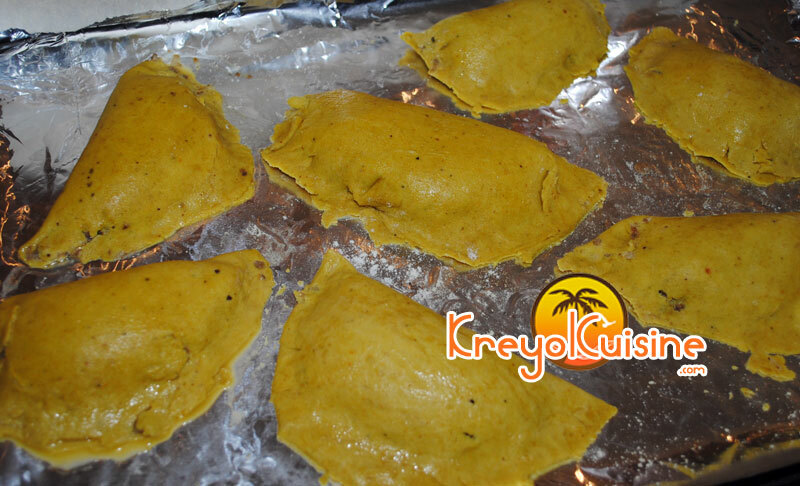 Originally from the Pacific, breadfruit was brought to the Caribbean in the late XVIIIth century to feed the slaves by the captain of Bounty, William Bligh. 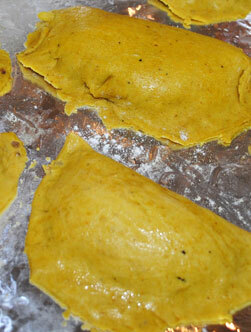 The breadfruit tree is now widespread throughout the humid tropics for its nourishing benefits and aesthetics. 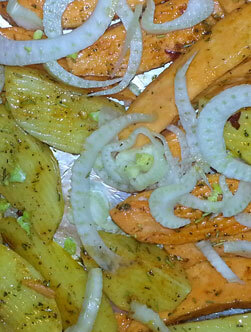 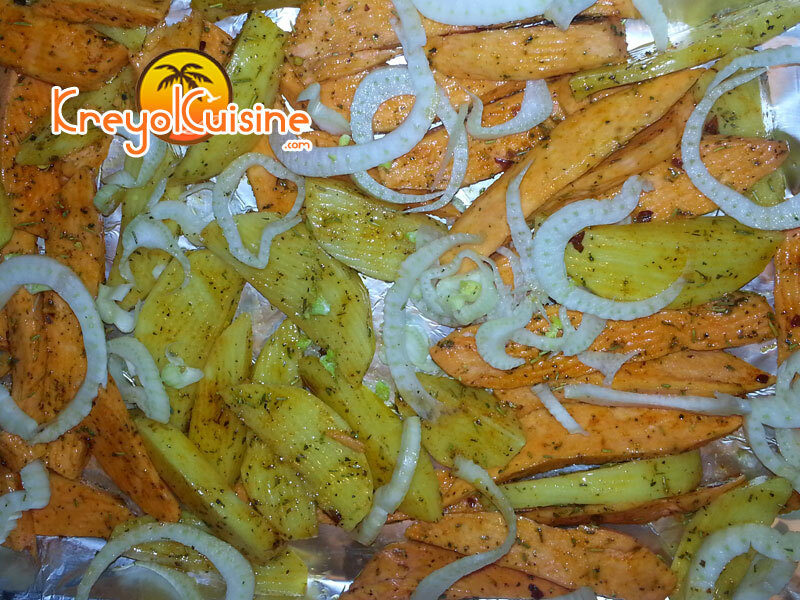 Simple and quick, this recipe for fries will surely satisfy the whole family. 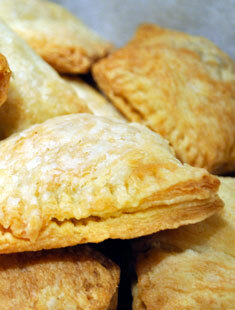 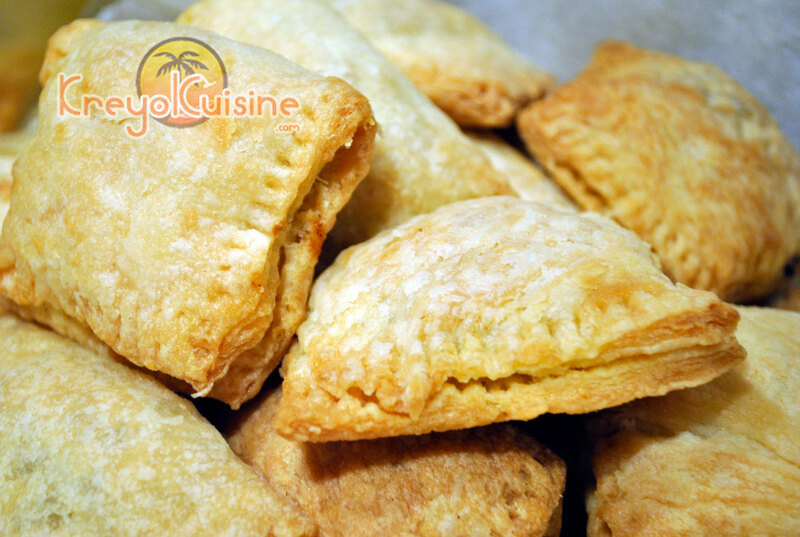 Delicious curry-flavored pastries filled with seasoned ground beef, these homemade Jamaican patties are the best patties you will ever eat. 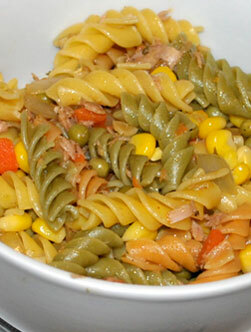 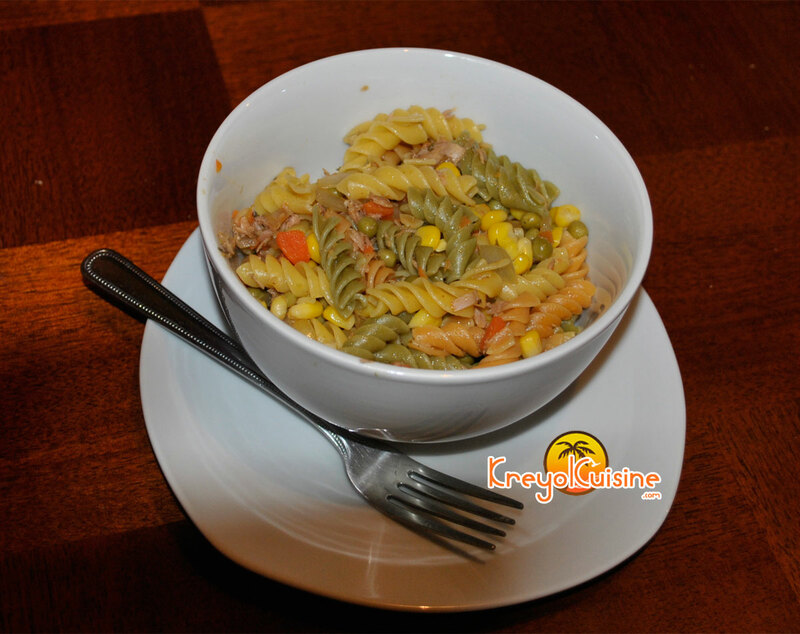 An adaptation of the famous Haitian macaroni salad, this sea pasta salad is perfect at buffet, a picnic or light lunch. 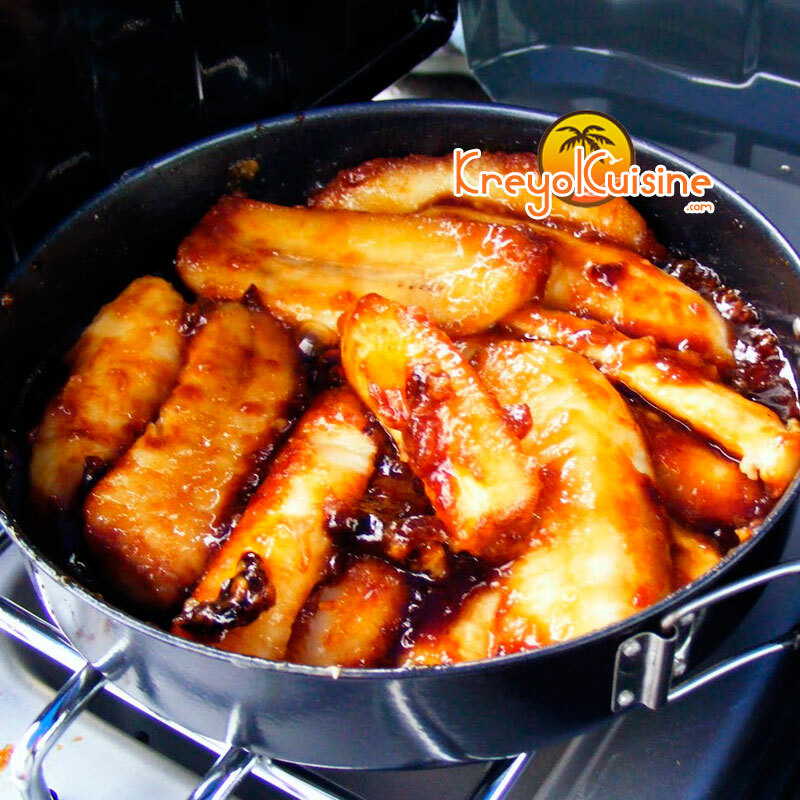 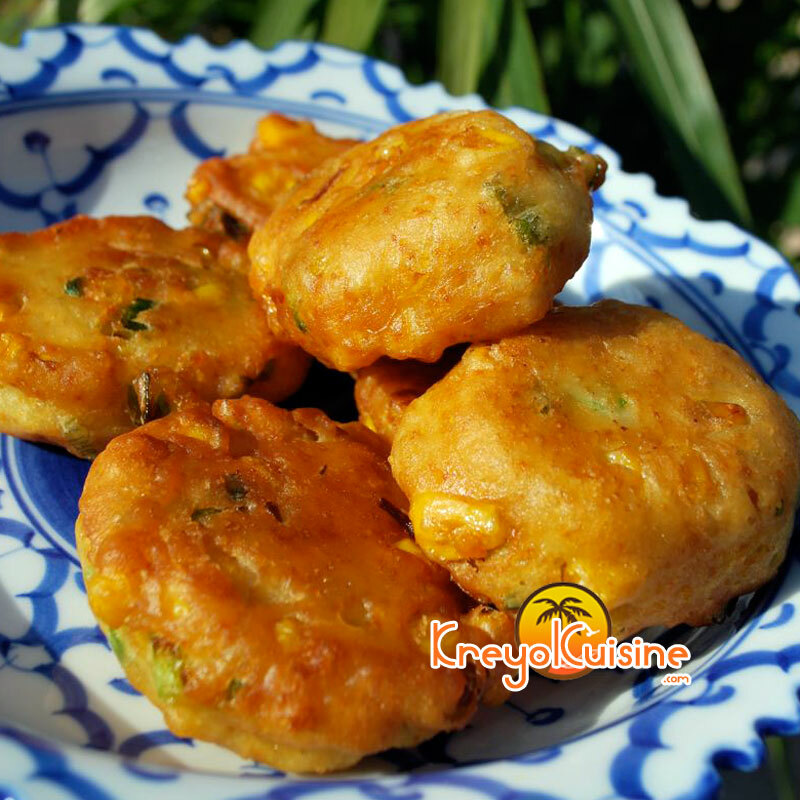 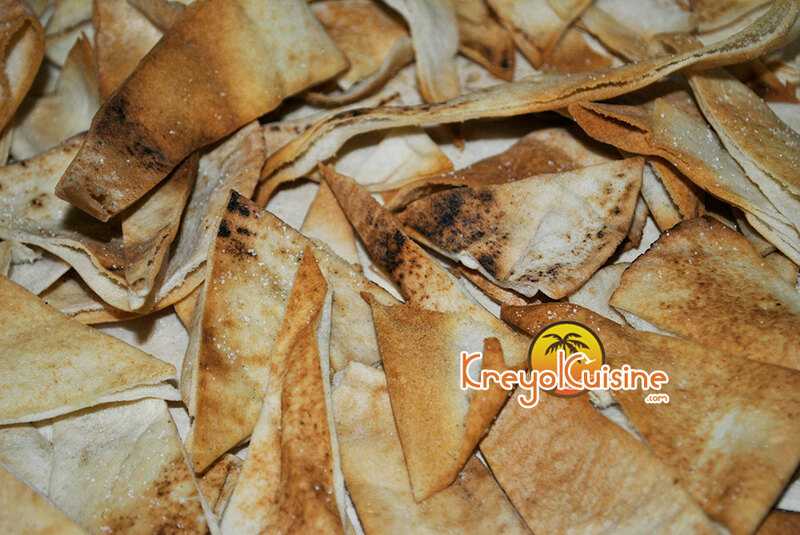 The preparation of the fried plantain is common in caribbean kitchen. 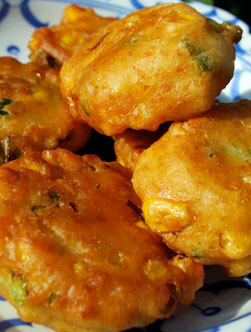 It is served with many dishes. 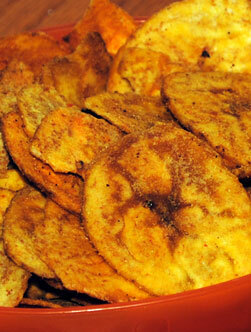 These fried ripened plantain slices are customary in most typical meals In Honduras, Venezuela and Central Colombia. 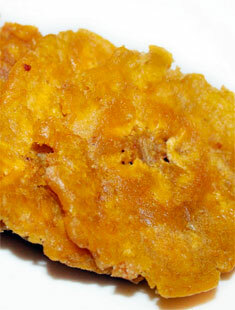 They make a great takeaway food with fried chicken. 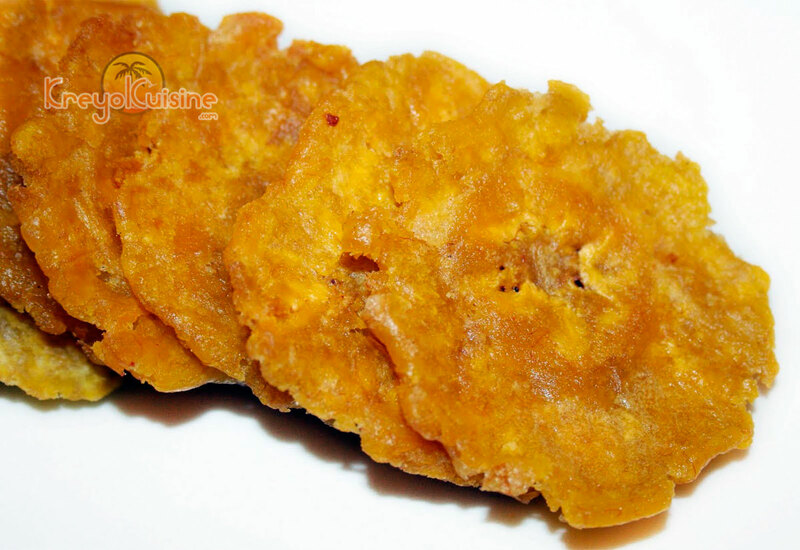 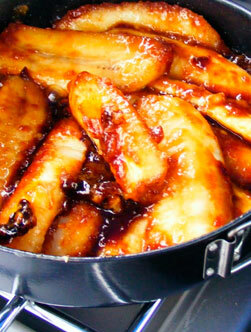 In Nicaragua, tajadas are traditionally served with fried pork. 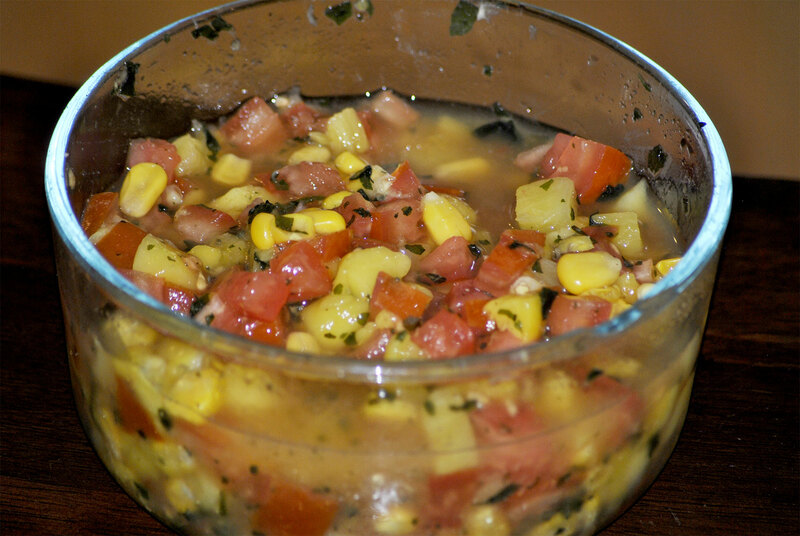 This mango salad is simple and delicious and can easily be prepared in advance. 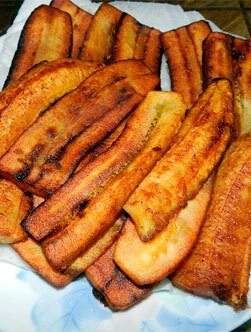 Plantains are a popular west-indian vegetable. 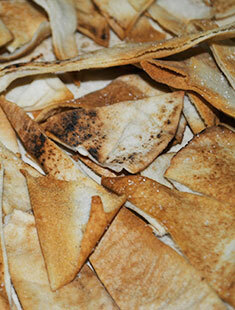 Thin and fried to make a chip, you would eat them like any regular chip. 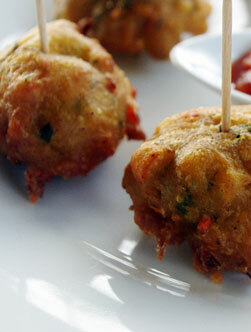 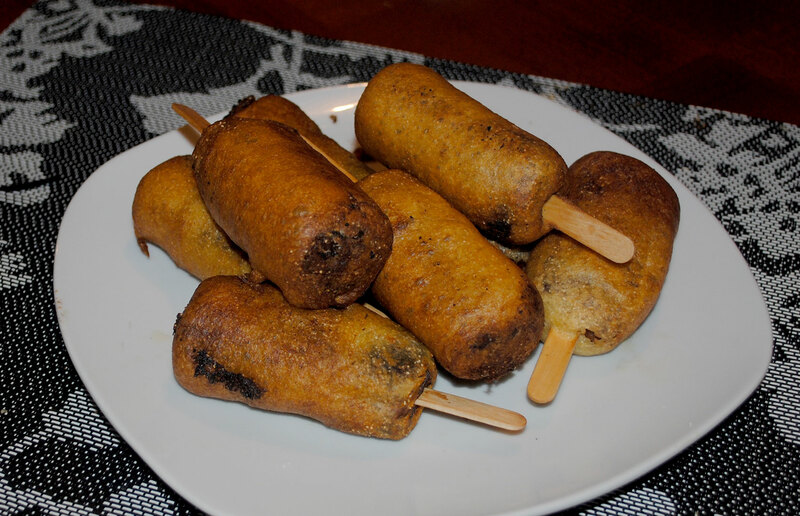 This corn dog recipe or sausage on a stick is made from Italian sausage coated with a slightly spicy batter. 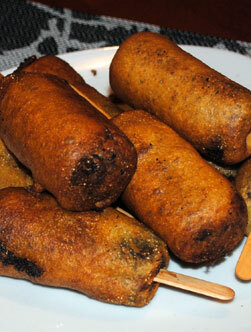 This corn dog is eaten very hot with mayonnaise, mustard or ketchup. 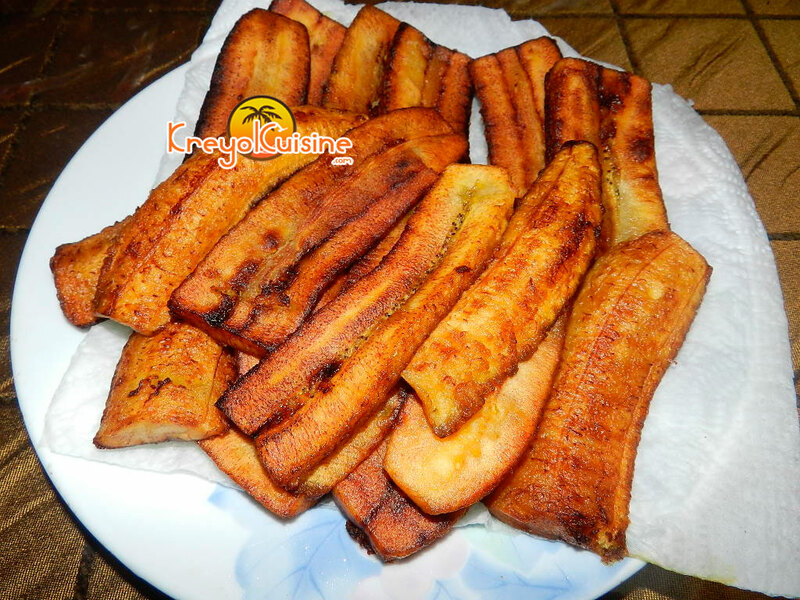 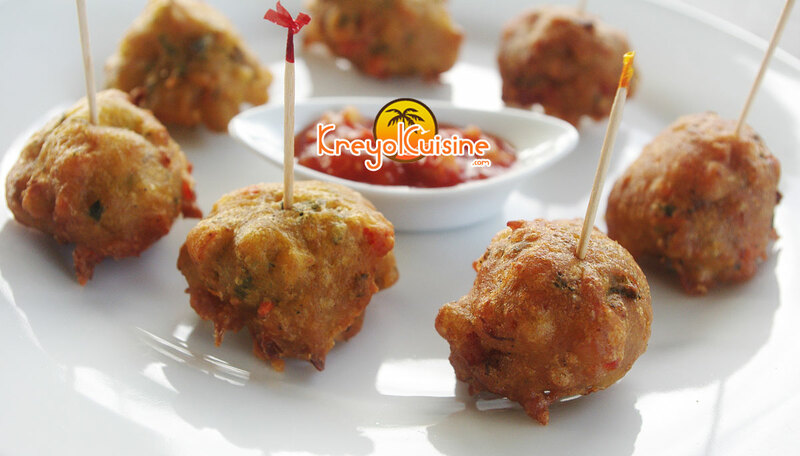 A very simple dish, with plantain at its base. 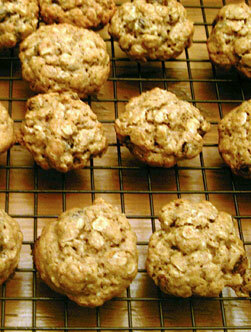 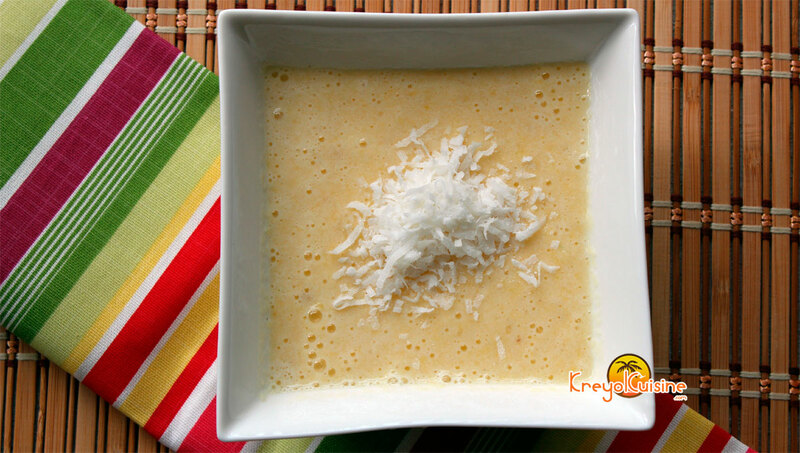 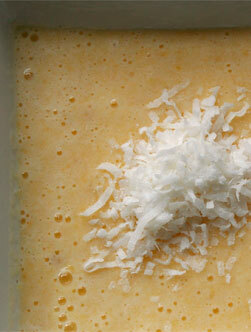 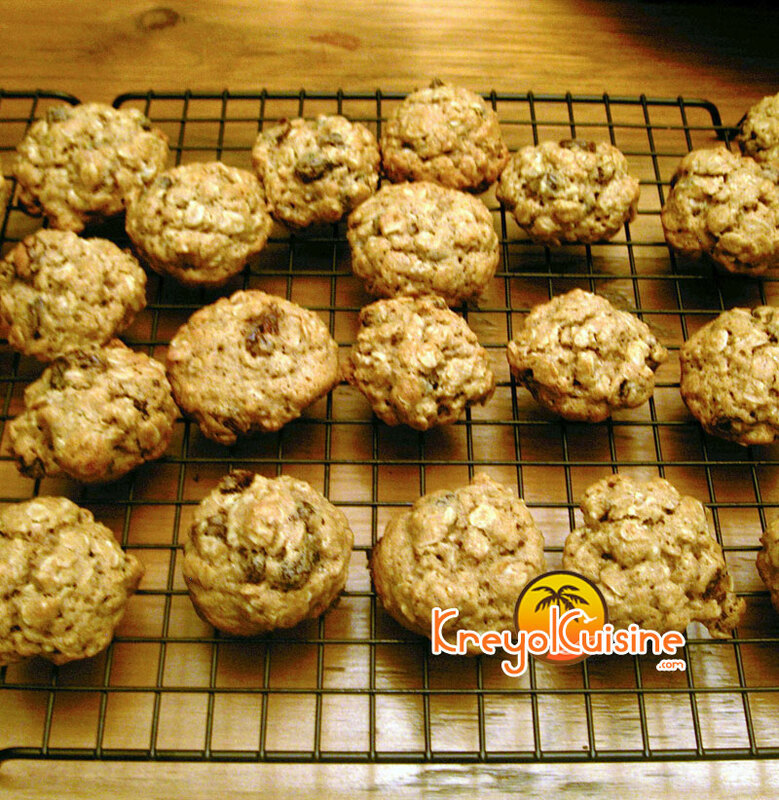 With a texture of pudding is great for breakfast or as a snack. 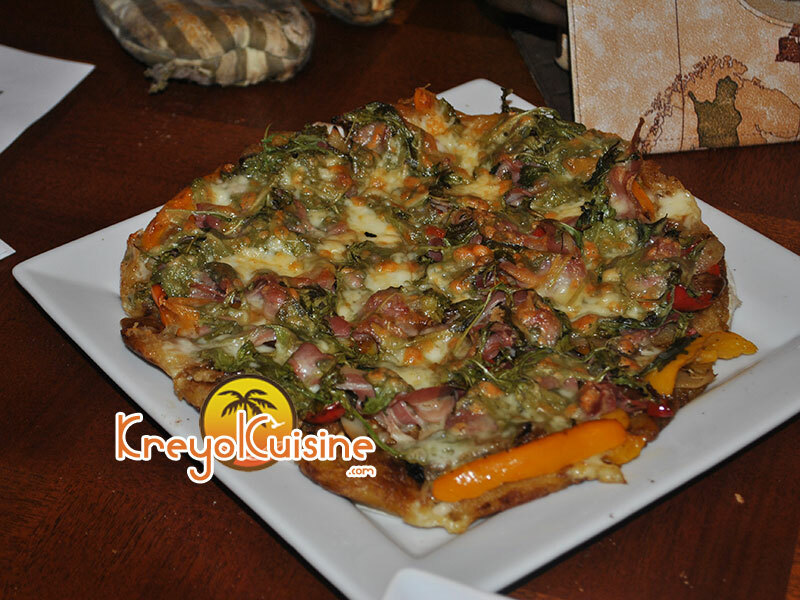 A pizza where plantains replace the traditionaldough that can be be done fairly quickly. 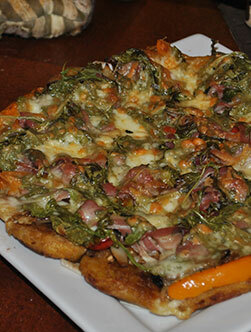 And omittingthe prosciutto, you get a delicious 100% veggie pizza.